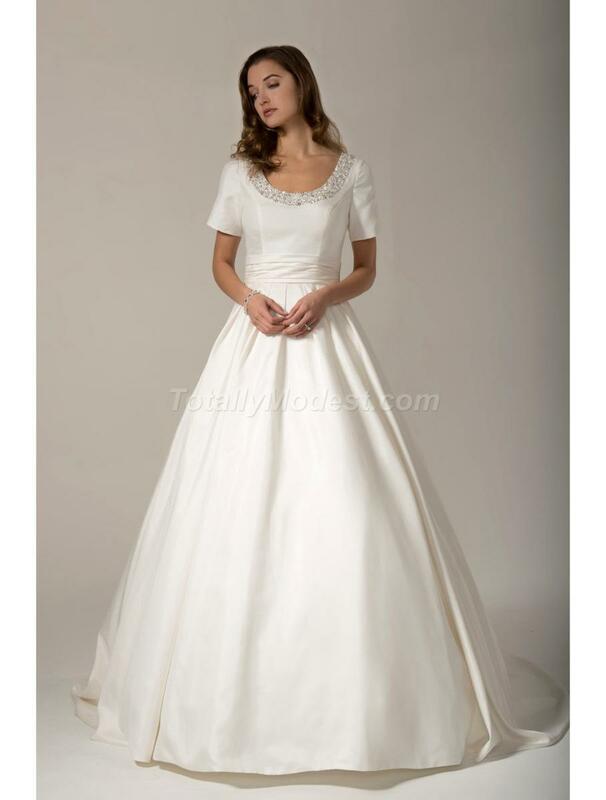 Modest ball gown with round beaded neckline, pleated cumber band at waist. 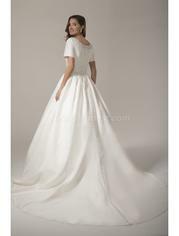 Medium length sleeves, beaded round back bodice finished with zipper and buttons throughout the end of train. Sweep length train.